You created a Facebook page, or started posting on Instagram. Some cool memes, quotes and other interesting stuff. Starting mentioning your business and your services and how you can help people. And now you are wondering what next?? It’s true what they say, organic reach, especially on Facebook, but really on all social platforms has dried up. For the average business, you simply are not going to reach a whole lot of new customers on social media without spending some money on advertising. So, is there any point in doing regular social media posting? First of all, it is about the basics of building your brand. Your existing customers or even new customers who hear about you (through referral or other means) are going to want to know who you are and what you offer, as well as what you stand for. So you must have an active presence at some level on some of the social media sites. Second, and even more important, it is about relationships. Communicating with existing customers. Strengthening that bond. And this can also lead to your original goal, bringing in some new clients. Maybe not a torrent, but it could start with a trickle and start to build a steady stream. Through the modern day referral marketing – aka sharing…..
You need to be on Social Media, it is as important as having a website. And you also need to have a strategy in place as to what you are posting, when, and how you are interacting. It is much like cooking, many people can cook a dish or even a decent meal. The best chefs can put the right combination of foods together (appies, courses, deserts, even wines and drinks) to make an amazing unforgettable experience. 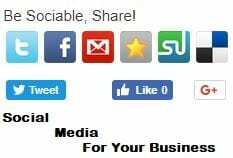 This is what you need for your Social Media, create that experience, to get the best results for your business. With all the different social media platforms and other ways to market your business, is spending time on SEO even relevant? Especially when it is so damn hard to get to the top pages of Google, let alone the number one or two spot. My opinion, it is still vital!! Google searching is still a huge part of how people use the internet. And people are getting smarter and smarter with Google. And Google is also getting smarter. Generic searches like Dog Walker and Tax Accountant… yes these are no longer relevant. But specific searches, along with location, that is a gold mine. And many businesses ar e not tapping in, hoping to rely on social media or other strategies. And the other BIG reason why SEO is a great marketing strategy is that it forces you to focus on your target market, and to really determine what is important to them. It also makes you create a very solid website packed with VALUE. Value that your customers will enjoy, and keep coming back because of that value. 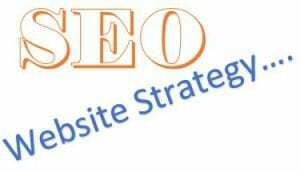 So YES, SEO – Search Engine Optimization – is still one of the top marketing tactics that I recommend. One of the best ways to ensure long term success and sustainability for your business is to connect with the people who you are doing business with. You need to build and nourish these relationships. The problem is, how do you do this. You cannot be everyone’s best friend. This is a business remember. I am not saying in any way that if become good friends with some of your clients that it is a bad thing… that is awesome, good friends are hard to come by. But in business, you are serving many, and cannot be good friends with them all. But you do need to connect with them all, make them feel special, all the right communication to happen. That can only happen when they know and trust you. So in a business situation, how do you do that, how do you effectively build your tribe, and have fun doing it. It comes down to them getting to know that they can count on you, and also that they understand that you care about them. You need to build up your credibility, your expertise, and finally the trust factor. This happens through good communication and thoughtful dialogue. There are so many tools available for you to do this. The best is to pick the ones that work for you. A blog is a great tool to allow you to tell your personal story. You can also establish you as an expert and help you stand out from others. Blog articles are great for attracting new customers. And it allows you to keep in touch with your people on a regular basis. They can comment on your blog posts and a dialogue can commence. Social media is another valuable tool for connecting with your tribe and building that relationship. It allows spontaneous conversations, allows personalization and flexibility. 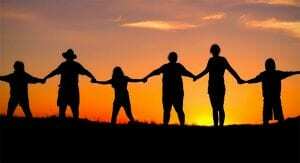 Social media is also great for adding to your group of people as sharing is so easy, when done the right way. Email is probably one of the best, yet most overlooked method to build relationships, credibility and trust. Email allows the most direct communication path, and can also be the most personalized. Yes you can send one to one emails, that can be very powerful. So take a look at your business, your life, and see where you can reach out to your people to enhance that relationship. That is it in a nutshell – communicate to a potential buyer what your product or service can do for them. Lately I have been re-watching some episodes of Mad Men. It is a netflix series about an advertising agency on Madison Avenue in New York. The show starts in the late 50’s, some might say the start of the Advertising age. It goes through the 60’s and into the 70’s. You see the rise of TV advertising as well as the start of the data analysis that they are beginning to do. An interesting episode was when the agency got its first computer to analyse the data they were generating. The show is interesting, has some great character development. But what I like ab out it is the underlying thoughts and ideas about marketing and advertising. Various discussions that the idea man – Don Draper has with his various copywriters and other colleagues. What comes through is that he has a unique understanding of the human psyche. And he has the ability to take a product and build a story around it that really conveys the essence of why someone would need that product. But what he never does is lie, or tell any type of untrue stories. It is about communicating ideas. That is the core of marketing, communicate the idea to the right person, and let them decide what to do. If your communication is clear, then they will be able to make the right decision for their personal situation. Your target customer is that person that matches these two criteria. They are most likely to buy from you, not only once, but over and over again. They will get the most value from what you offer. Not only from the actual product, but also from everything extra that you give your customers. You cannot afford to target everyone with your marketing. It will be ineffective. It will be expensive. It simply will NOT WORK! By having a clearly defined target market, it is much easier to create effective marketing strategies that are a long term investment. 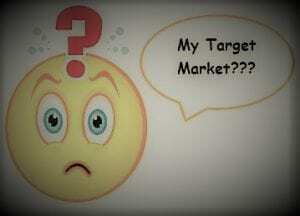 Knowing your target market will also help you to offer a higher amount of value to those customers. You will know exactly what they want and how they want it. Another reason why you should intimately know your target market is that it will allow you to communicate much more clearly with those customers. Less misunderstandings, few complaints, more happy customers!! The more you can know about your perfect customers, the more you integrate your business into that community of people, the better your business will do, and the more they will love you! Yes, ever business needs a clearly defined Target Market.